The questions are who and what are Derby motorhomes? In fact, our services are 2 fold,1 a conventional motorhome dealer with a website. 2 the online motorhome marketing platform developing our brand. 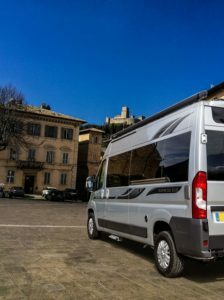 Selling new and second hand Auto-Sleeper motorhomes. Therefore, leading to a better online interaction with old and new customers. Also, setting up a better interaction with our many customers, no matter where they are. Whilst we have always found a motorhome customer to be happy to travel. We believe that only needs to be once. In addition, this is about us keeping customers near and far better informed of who we are and where we are doing. Hence, our strategy is simple, we are working on improving all of our customer services. Also, promoting our motorhome business, better online and becoming a customers number one choice. Especially, for helping anyone in buying an Auto-Sleeper motorhome. Auto-Sleeper have been building motorhomes for over fifty four years and they have a tradition, that goes without saying. Creating motorhomes of excellence that are distinctive in appearance. The moment you enter an Auto-Sleeper that wow feeling kicks in, with excellent high class finishes. Reliability is second nature with an Auto-Sleeper because, of the excellent chassis being used. Mercedes Benz, Peugeot and using AL KO chassis as partners, that are without doubt outstanding. 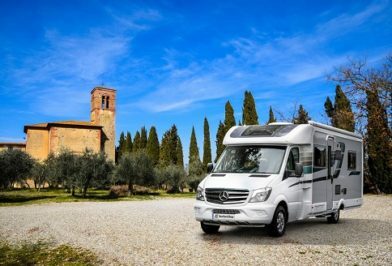 Being so involved with motorhomes, both, Mercedes Benz and Peugeot, have a very large network of European dealers. Making such good engines, transmissions all developed with a good specification chassis cab. In addition, to building on the outstanding lightweight and upgraded AL KO chassis. With outstanding van conversions, bespoke coach built, motorhomes and a super luxury Mercedes Benz range. Auto-Sleeper have fine tuned their specifications and layouts to perfection. In fact, we want to create the ultimate way in providing customers, with a fine-tuned sales proposition. Therefore, leading to customer satisfaction. What is Derby Motorhomes and what do we want to achieve? 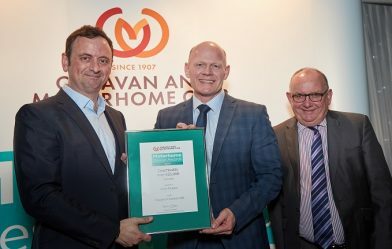 To provide the best way forward to live up to all of our customers expectations. Also, adopting a different strategy in improving the way we help all customers, both, old and new. In fact, we want customers to be able to get an immediate service from us. That is what we are building towards. So, for customers to never to miss an offer or have the chance of a real good deal. Displaying “what is on offer for the customer”. We want the good information on available deals. Hense, to be as personal as possible and provide each customer with a special dedicated service. We feel it is so important for customers to know, that we care about providing really good deals. That means we need to keep in touch, but, not bombard customers with unnecessary information. Just creating a way to help customers, to always get a good deal. In addition, working with customers to understand Auto- Sleeper. Explaining the Auto-Sleeper Trigano ownership and how this can be a huge step forward for Auto-Sleeper. Making use of our social media platforms, for customers and our staff, to benefit from. Providing even better services as we evolve. Linking to customers own social media and liking pages, like on Facebook and re tweeting on Twitter. Supporting the further development of the popular Auto Sleeper exhibition centre in Derby, in the UK. The new website, is only a small part of our motorhome marketing, that includes our social media activities, attending motorhome shows and events. In fact, the Auto-Sleeper exhibition centre became a reality in January 2012, when the centre opening its doors to a bespoke offering. Displaying and selling the whole range of new Auto- Sleeper motorhomes, from a heated indoor showroom. Derby Motorhomes? Basically it is aimed at helping the exhibition centre to grow. When its cold and wet, the last thing you need is to be outside viewing a motorhome. 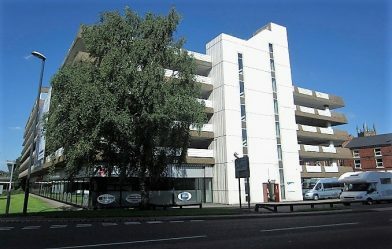 Here in Derby we decided that having all the Auto-Sleeper motorhomes in one place made sense. First the showroom is heated and second you can pop in and out of each motorhome. Comparing layouts and sitting in the set up. Derby 30 million people within 30 minutes. Pop out into the Derby Cathedral quarter for a break or lunch and pop back, its just at the end of our road. Our trained staff are on hand should you need some assistance, or a test drive, that can all be arranged on a personal basis. We want all customers to enjoy the centre, no sales pressure, just good honest help when needed. 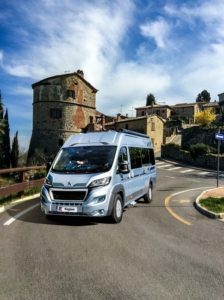 Establishing the centre and promoting the award winning Auto-Sleeper motorhomes, both stylish and innovative in the construction. This is what sells Auto-Sleeper motorhomes. In fact, the Auto-Sleeper exhibition centre has been the top selling independent Auto-Sleeper dealer, for the past five years. Being an Auto-Sleeper dealer with all the models on display, is a little unique. Therefore, here at Derby motorhomes we aim to improve with our customers help and sharing our experience with them. If a customer has a good idea, we want to know. In many cases, by using a motorhome, a customer knows what works and what does not. So, we simply ask our customers to tell us what they think.